Homeowners know that the cost of electricity is going nowhere but up in the coming years since the fuel that is used in the production of electricity continues to rise. Our natural resources are being pillaged, fossil fuel reserves may run low and geopolitical conflict may also affect how much petroleum is exported. In the end, the wisest move a homeowner can make to ensure a continual and ultimately a lower supply of electricity is to go green with alternative sources of power for the home. 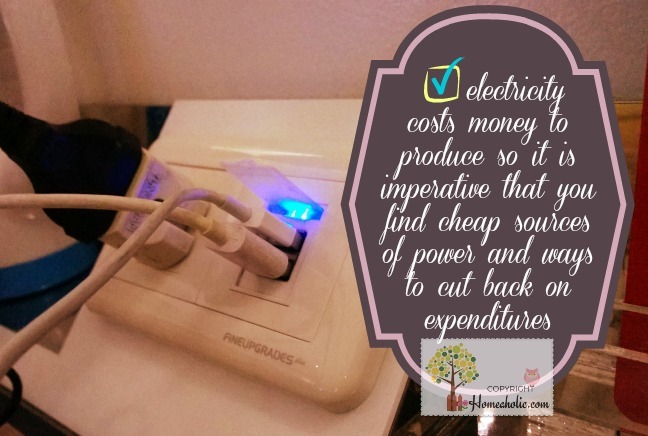 Whether you live in Brisbane, Sydney, Melbourne or in the outback, electricity costs money to produce so it is imperative that you find cheap sources of power and ways to cut back on expenditures. Once those solar panels are installed it is possible to produce enough electricity to run an entire household with some left over for use in the grid. It’s a matter of the type of panels being installed, the size of the panels and the battery in use. You can contact Brisbane Electricians here who will be best suited to explain what kind of system you need and also if there are any government rebates or incentives open to you at this time. Some incentive programmes have ended but there may be some still available depending on where you live. There may be incentives for doing away with halogen up lights around your property if you replace them with energy efficient LED lights. However, the garden isn’t the only area of your home or property where LED lights can be utilised. With continual advances in solid state technology, LED lighting is becoming stronger, brighter and truer to natural colours of the spectrum. Just a few short years ago it wasn’t possible to use LED lights throughout the entire home as they just weren’t as efficient as they needed to be. Technology continues to advance and with it, the ability to save money and certainly to save on natural resources. Not only can you rewire parts of your home and property for better electrical connections that are safer and free from ‘escaping electricity,’ you can also change out your older appliances for ones which are rated to be the most energy efficient. You can save an incredible amount of money on your electric bill by just changing out appliances but coupled with alternative power like solar power, you will pay next to nothing for the electricity you do use. Saving money is important but so, too, is saving the planet that is continually being pillaged of natural resources. Whereas forestry and reforestation was the big push in the 1980s, alternative power is how today’s generation is looking to save the earth. Other types of green fuels are renewable but there is no end to the energy from the sun and that’s why it is the best source of renewable energy for today’s family that is seeking cost effective ‘green’ solutions to their energy issues.